Annerly Poulos has jumped to no. 86 this week after her scintillating form in recent weeks. Photo: Supplied by Tennis ACT. 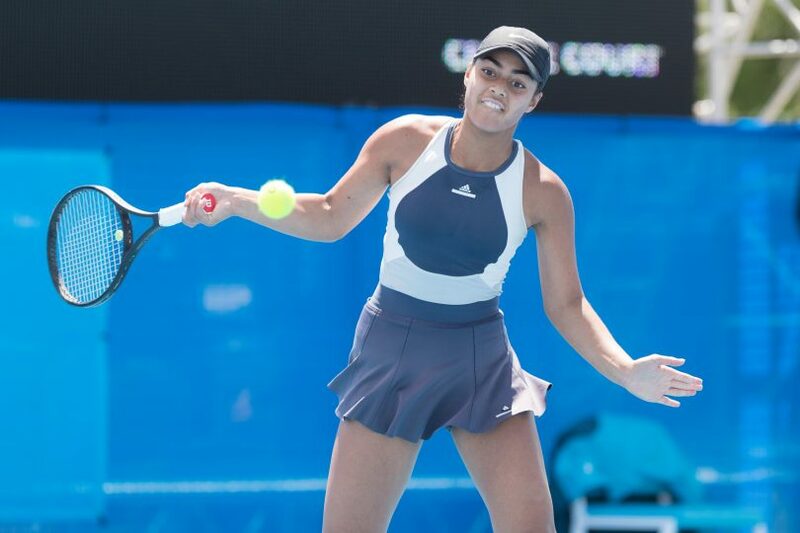 15-year-old tennis prodigy Annerly Poulos has continued her rapid rise up the ITF’s junior world ranking, rising more than 1000 places to number 86 in the world. The Canberra local started 2018 ranked 1120 and has jumped to no. 86 this week after her scintillating form in recent weeks. Poulos, who is coached by Todd Larkham, has won three junior ITF titles in a row and is currently on a singles winning streak of 17 matches. The 15-year-old came through qualifying in Sydney to claim the ITF 3 Australian Winter International and then flew to Europe to claim the ITF 3 Ockel Tournament Leeuwenberg Championship in the Netherlands and ITF 3 4th Torneo Internazionale Junior “Citta Di Palermo” in Italy. She also teamed with fellow Australian junior Olivia Gadecki to claim the doubles titles at the Netherlands and Italy events. Poulos is currently travelling as part of the 16-and-under Australian Junior European tour preparing for the Junior Fed and Davis Cup Finals in Hungary next week. She has been a part of the Tennis ACT academy since she was 10-years-old where she teamed up with Larkham, the head coach of the academy. Larkham, who also coached Nick Kyrgios when he was part of the academy, said his star pupils are tracking through their junior results in a very similar fashion.